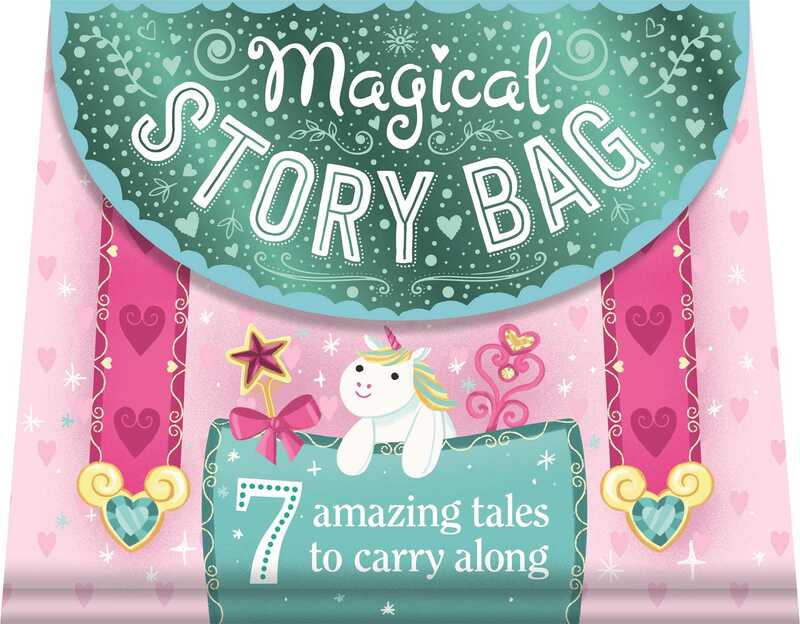 My Magical Story Bag includes 7 stories all about princesses, unicorns, fairies and more, for an enchanting story time. This shaped treasury includes a Velcro closure and cord carry handle for bringing these stories on the go. Story time has never been so much fun as with this mini carry-along collection of tales. There are 7 fantastic stories to choose from inside, each with unforgettable characters. So pick up your handbag to read on the go, and meet a glittering unicorn, a fed-up fairy godmother, a spoiled princess, and many more!